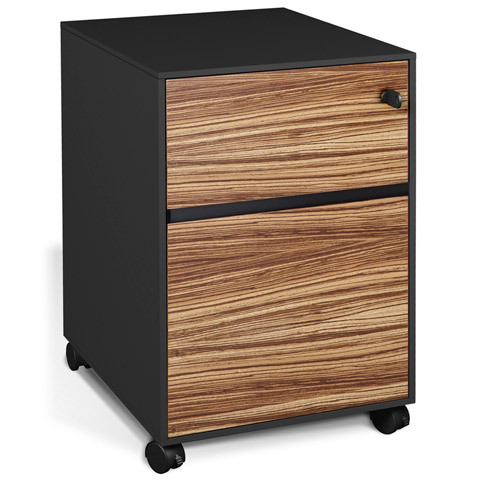 Quick, easy and stylish, the Arundel Pedestal is everything you need in a mobile filing cabinet. 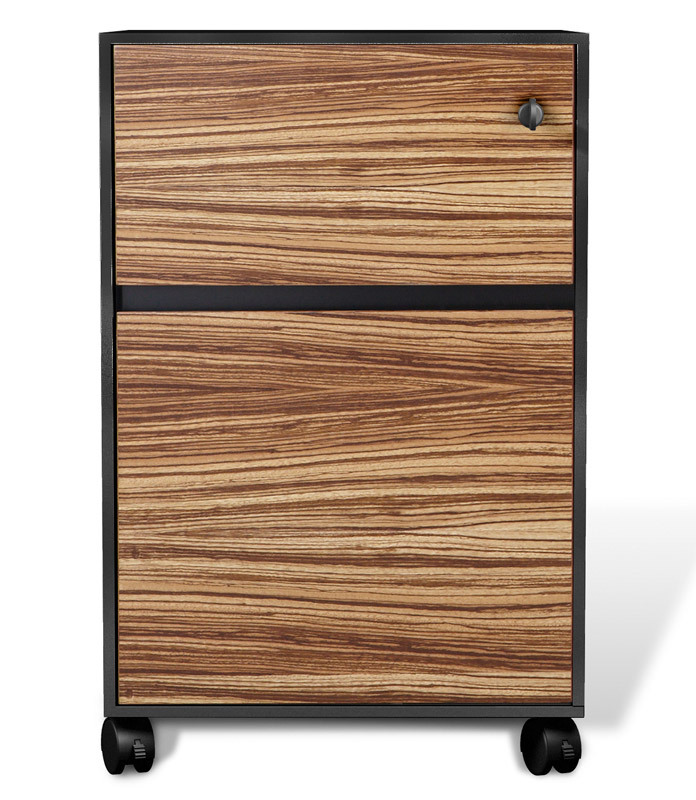 Horizontal lines and black accents give this little cabinet a punch of character to match its utility. Both drawers feature European ball-bearing glides, with a central locking system for both drawers. Store your daily supplies in the top pencil drawer, and use the bottom drawer for letter or legal size files. Locking casters enable you to place Arundel where you need it. Available in your choice of white lacquer or Zebrano veneer.